Read More on what happens. Steel frame? 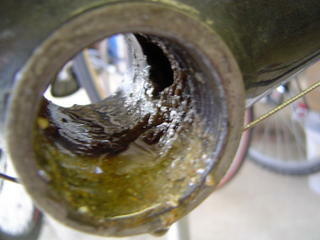 Drill a small (1/4″) drain hole in the bottom bracket shell.